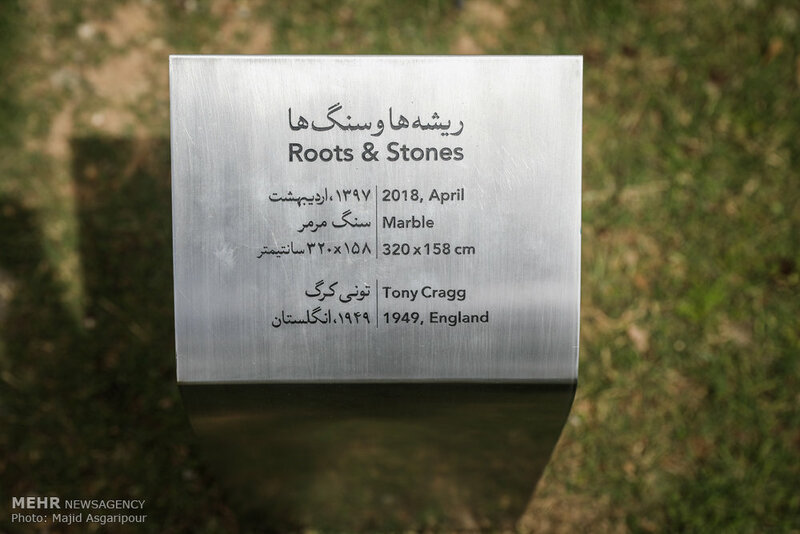 TEHRAN - "Roots and Stones", a huge abstract marble sculpture donated by British artist Tony Cragg, was unveiled in the courtyard of the Tehran Museum of Contemporary Art on Sunday April 29, 2018. 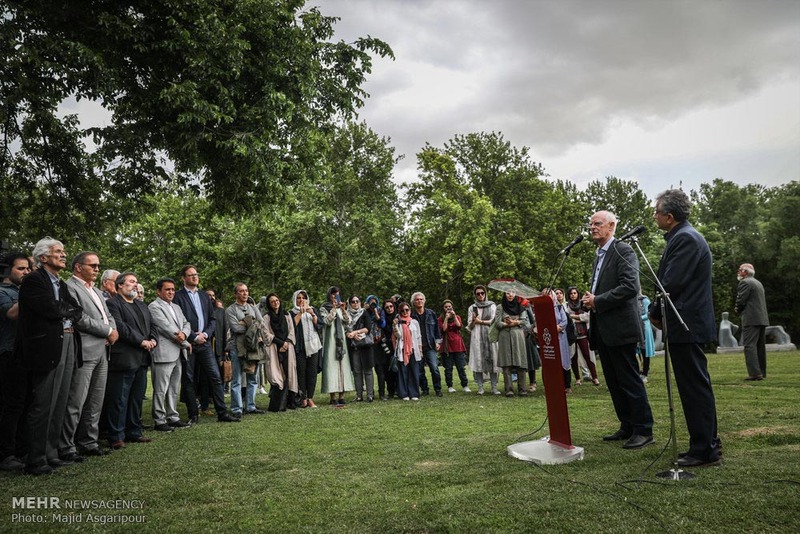 The ceremony was attended by the Turner Prize-winner Cragg and a number of cultural officials and Iranian artists. 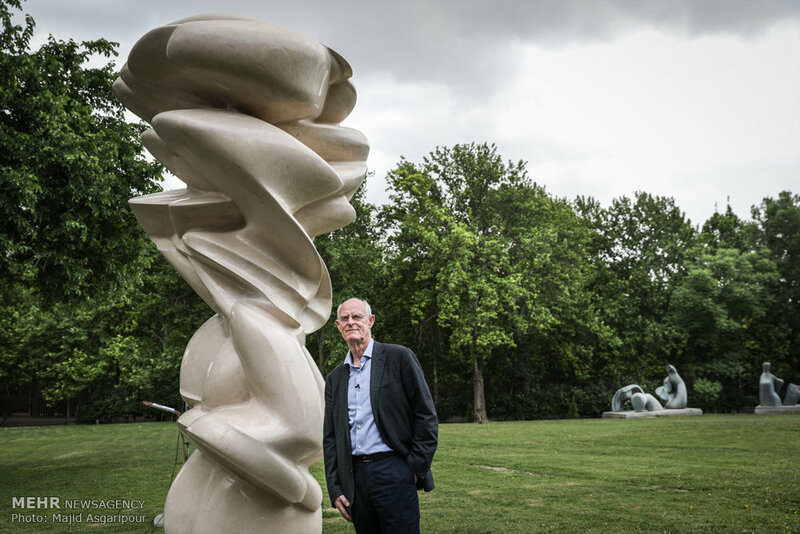 British artist Tony Cragg poses beside "Roots and Stones"
The museum showcased a large collection of Cragg's huge sculptures and drawings in an exhibition titled "Roots and Stones" from October 24, 2017 to January 12, 2018. 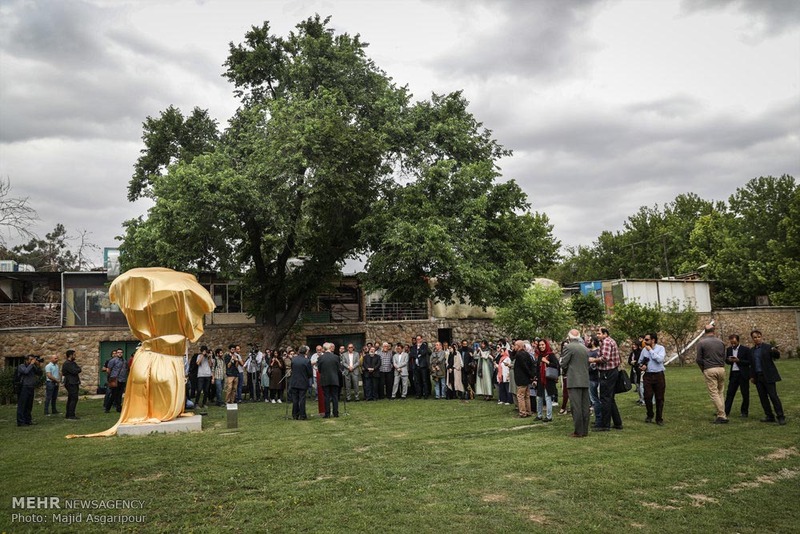 Visual Arts Office director Majid Mollanoruzi praised Cragg's decision to donate the artwork to the museum and said, "Organizing such an exhibit and the donation of such an artwork have resulted from cultural diplomacy." "Interaction between Iranian and foreign artists could give a positive image of the country in the international arena," he added. Veteran painter Ali Faramarzi said that the dialogue between nations can easily pave the ground for further collaboration better than other types of diplomacy. 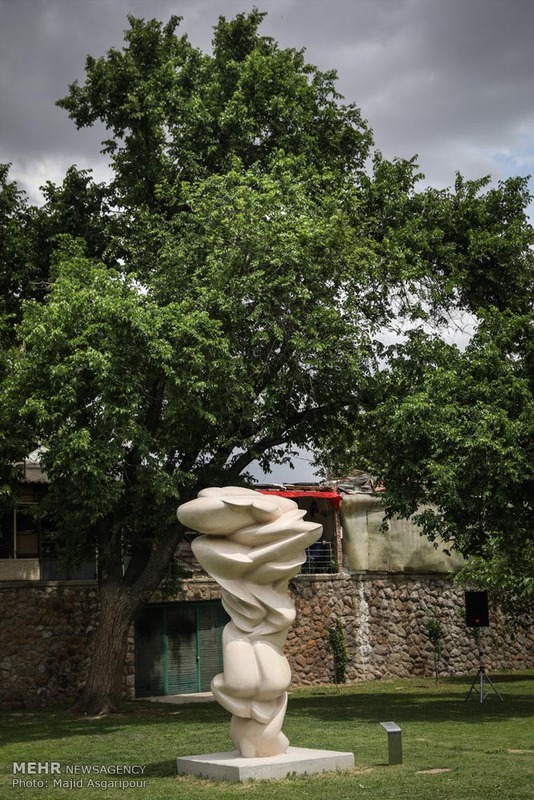 Cragg also on his part called the sculpture a memorial of his visit to Iran that he hoped could promote friendship and understanding. He said that he enjoyed holding the exhibition at the museum and added that he was most impressed by the excited youth who came to visit his works.